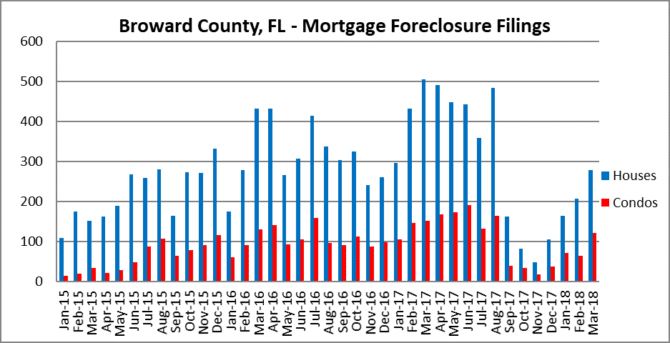 As we expected, mortgage foreclosure filings are ramping-up once again. They were gaining momentum throughout 2017 until Hurricane Irma, when FEMA placed a 90-day hold on foreclosure filings. That led to the annual “holiday hold”, so it looks like the banks are getting back in inaction. Many of these cases have been lingering since the 2008 financial crisis. 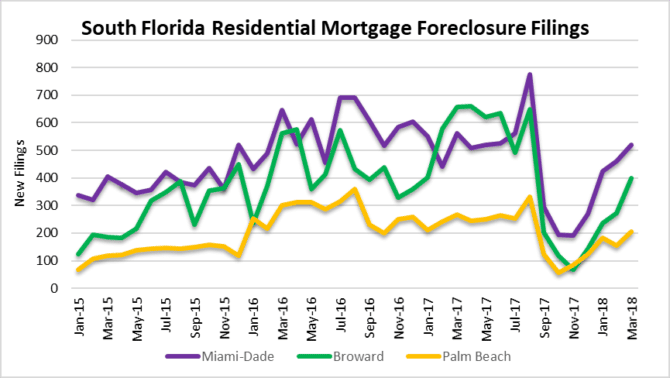 Thanks to the failed mortgage bailout programs (too many to list) and the innate ability of South Floridians to game the judicial foreclosure system, we continue to wrestle with this problem. Let’s take a look at the overall picture of monthly filings that have been recorded as of April 4th, 2018. As always, we will update the data if it changes. 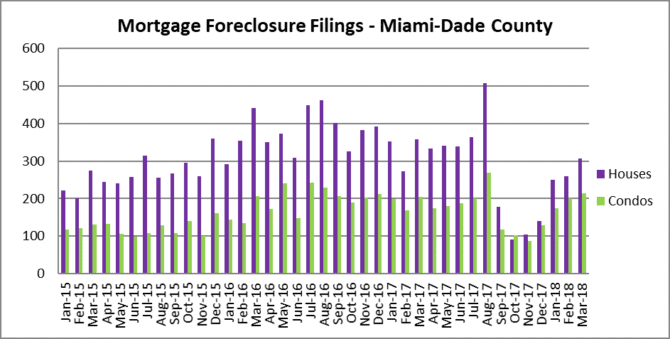 New filings throughout Miami-Dade County appear to be making a strong comeback and gaining momentum as we move through 2018. 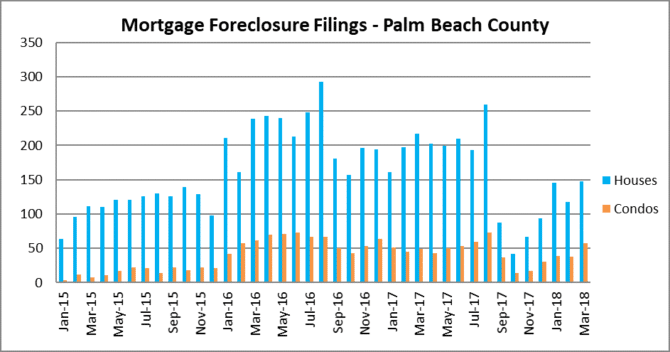 Filings continue to climb up in Palm Beach County also as we move into the second quarter of 2018. This entry was posted in Foreclosure activity, Fort Lauderdale foreclosures, Market Insight, Miami foreclosures, Palm Beach foreclosures, Shadow Inventory, South Florida Real Estate and tagged Fort Lauderdale real estate, housing bubble, Miami real estate, REO, short sale. Bookmark the permalink. Both comments and trackbacks are currently closed.